When I find myself taking too much time to find lost keys and misplacing other things I need to stop life’s treadmill and take the Lord at His word when He told His people to take rest on the Sabbath. Thanks, dona. You have a very practical gauge there for sensing when you’re too busy. 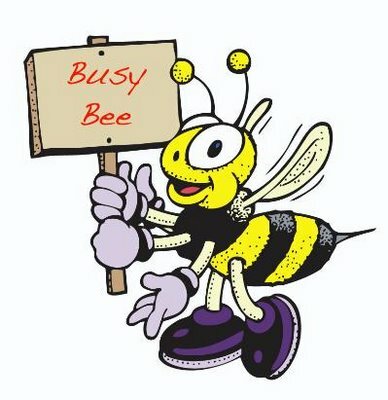 When I realize my beloved and I are passing each other as we complete family tasks, community committments, and work obligations then I know that we have overbooked – if we are not connected it is time for a break! Very true, Bill, and you just described life in the Ross household way too often. I just recently realized that I too am very busy. Even though it seems like fun and not really work spending most all waking hours with a 3 year old can truly be work. What became evident to me is that I have lost connection with my spouse in just a relatively short amount of time due to my inability to recognize that all my time is totally being spent in one place. While it’s admirable for a dad to spend most of his free time with his kids, I have to remember the other important people in my life so I don’t lose that important connection. This includes myself. I can tell when I’m too busy when I’m stressed, too tired to think or or daydream. Usually that means I’m focused on the things that are urgent-not-important, or not-important rather than urgent-important. Self-care is in that important latter category but is frequently the first thing to go. Without proper self-care (rest, exercise, down-time, healthy diet, recreation time, family time), then productivity and creativity and happiness suffer. So in the end it’s worth the investment to invest in ourselves. We’re recharged to give to others, as opposed to giving while running on r.
DOn’t feel guilty about your personal time. You need it, you deserve it. If you want others to balance their lives too you must model the change. Good luck! Wise words, Susanna. Thank you!